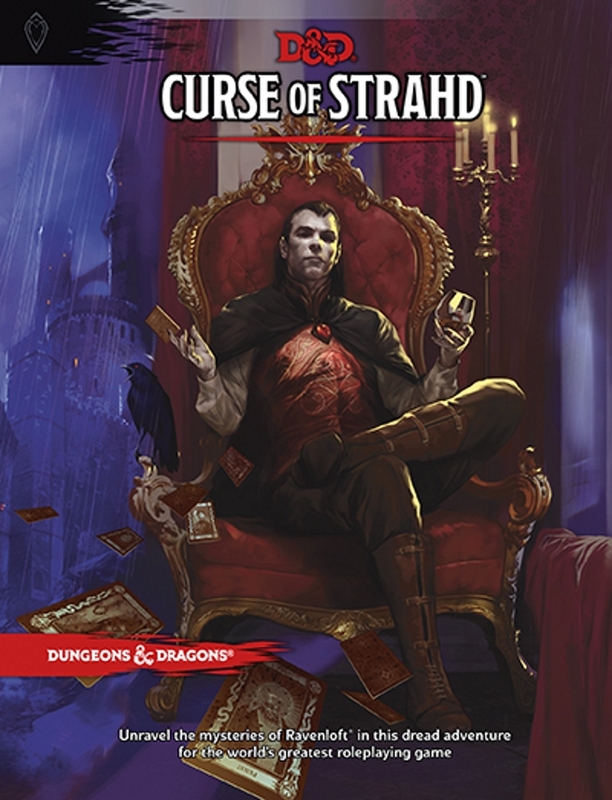 After its limited hobby store release a few weeks ago, Curse of Strahd is finally available in stores everywhere. The book itself is a hardcover with 256 pages on glossy paper with tons of great art and full color maps. It also contains a huge fold out map that features Barovia and all of the campaign’s relevant locations on one side, and a fully detailed, floor by floor, map of Castle Ravenloft on the other. The adventure is one of gothic horror and traps the players within a misty cursed realm complete with zombies, werewolves, witches, cultists, and a vampire lord they must defeat in order to rid the land of its curse and become free. 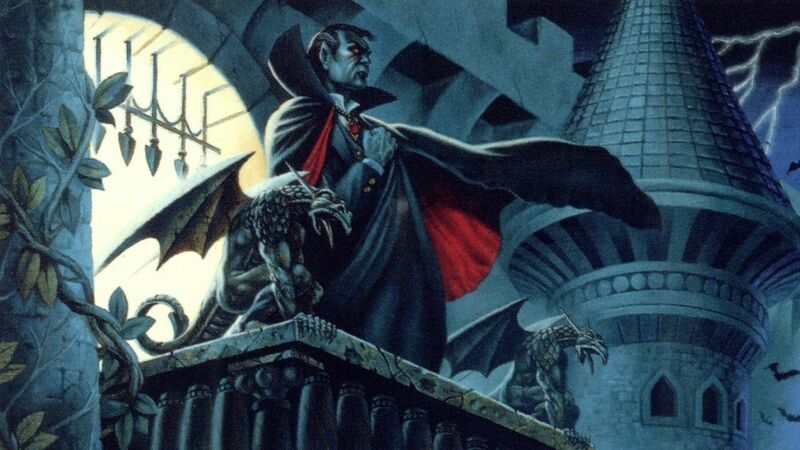 Though it is a reimagining of the original Ravenloft adventure from the 80s, I intend to evaluate the product on its own merits, without any analysis of Strahd’s past incarnations. Here are a few things that make Curse of Strahd different from its predecessors. The most striking difference between this and previous adventures made by wizards is that Curse of Strahd puts much more priority on mood and mystery. The text is packed full of great descriptions for the DM to read to their players. The campaign has a more subtle touch, where many of the locations and towns seem to be quite ordinary or mundane at first glance… until you dig deeper. Almost nothing is as it seems in Barovia and the truths to be discovered are often horrific. I found most of the campaign’s scenarios to be disturbing in the best way possible. The imagery is at times hauntingly beautiful and tragically grotesque. Barovia’s characters as well as its horrors will stay with you long after you’ve left the table. Because of its more narrative-focused style, the game can run at a bit of a slower pace at times, requiring patience of the players and an interest in more than just fighting and looting. There are plenty of locations that have literally room after room of nothing but mundane furniture. Some groups may find such locations (which occur repeatedly and present nothing that the characters can interact with) to be tedious and a waste of time. DMs may elect to skip over these or beef them up with something more substantial. I myself found them to be a bit too frequent, but not so much as to discredit entire dungeons. 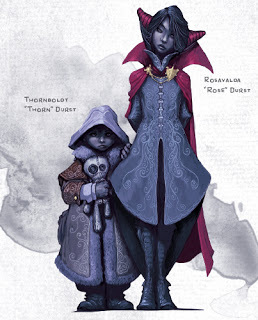 If your group gets into the mood and the story-driven mysteries of Curse of Strahd, the slower portions of the game can provide some great immersive details for the characters to ponder. Another big difference is the prominence of a singular villain that directly interacts with the characters on a semi-regular basis. This is a stark contrast coming from Out of the Abyss, where the villains are more like forces of nature rather than actual characters. Strahd is a complicated and dare I say very “human” villain. Unraveling the mystery of his backstory is one of the narrative pleasures of the campaign. Strahd himself can invite the players to his castle or appear at various locations around the map to toy with the players. This makes the campaign feel much more dynamic with a villain that actually reacts and responds to the characters’ actions rather than sitting at the bottom of a dungeon waiting to be killed. 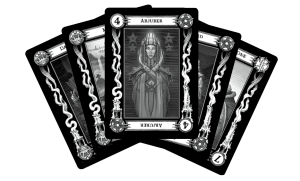 Curse of Strahd also uses a custom Tarokka deck (not included) to determine some random details of the plot each time you play. This feature of the game is a bit of a mixed bag. On the one hand, it makes for some great roleplaying opportunities, on the other hand it is not nearly as powerful a tool as it seems to be described. The deck is touted as making the game replayable again and again by randomizing locations. However, all the deck does is determine the locations of different treasures (locations you will most likely visit anyways, regardless of a Tarokka reading), Strahd’s location in Castle Ravenloft (a minor thing) and an ally against Strahd (which you will most likely also encounter in your travels anyways). These are all details, not major plot elements. If you were to replay the game with a different Tarokka reading, the players would still have to travel to each location in roughly the same order and would encounter all the same characters with the same scenarios and plot elements each time. So it is technically true that you could replay the game if you wanted, but the Tarokka deck doesn’t do a whole lot to make it a very different experience. Taking into account that this game would also take many months to complete, it seems very unlikely that any tabletop group would decide to run it a second time in its entirety. 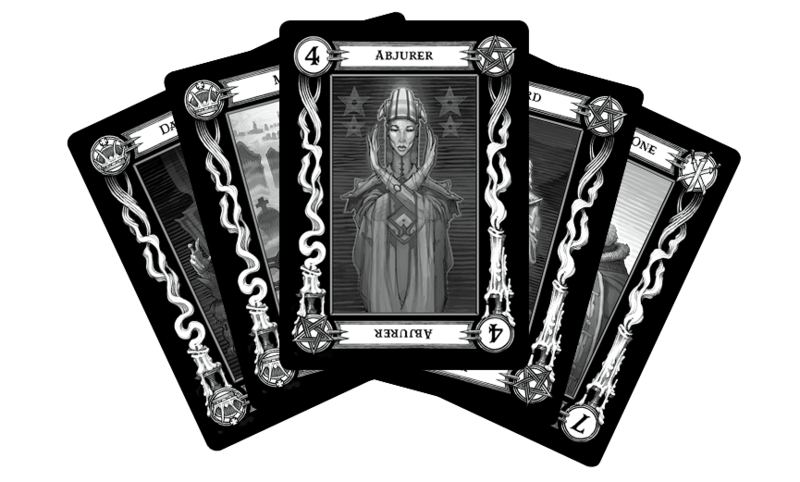 One more thing I will point out about the Tarokka deck is that it is presented in black and white. At first I just assumed that this was a marketing ploy to encourage you to buy the deck as a game accessory so you could enjoy the cards in all their colored glory. 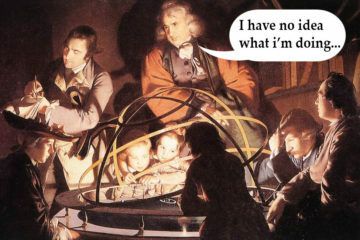 Sadly, I was mistaken. The cards themselves are black and white. In my opinion, this is a huge mistake and a nonsensical one at that. The Curse of Strahd Tarroka deck is obviously inspired by the Tarot, which is famous for its colorful illustrations. The Vistani fortune tellers that use the Tarokka deck are jovial, free spirited characters with a colorful sense of style. But their cards are black and white? Nonsense. In every incarnation the Tarokka deck is doomed to look like a cheap set of black and white xeroxed copies of cards that were originally in color. When you flip through the book (which is full of colorful illustrations and decoration) it looks even worse, as if they were misprinted. The illustrations themselves look great… and they deserve to be in color. It is a great disservice to the product that they’re not. Don’t get me wrong though, as a whole the Tarokka card system is a great addition to the game. It adds a layer of immersion and it is a fabulous concept that can be used to foreshadow the plot and intrigue the players in a very flavorful way. It’s just not nearly as effective as it could have been. Here is a brief summary of the specific adventures in Curse of Strahd. Some minor spoilers are below, but if you are a DM wanting to know exactly what you and your players will be doing in this campaign, this section is for you. Chapter 3: The Village of Barovia: Explore a dark and gloomy village complete with a haunted house under which dark rituals take place. A hag in disguise walks the streets at night peddling cursed pies, demanding payment in the form of children. An insane priest has imprisoned his vampire son beneath a ruined cathedral. Tser Pool Encampment: A key location for the beginning of the adventure. Here the players encounter a band of travelling gypsies who tell tales around a campfire about Barovia’s history. They also encounter a mystic fortune teller who can read the character’s futures using the Tarokka deck system presented in the book. The encounter is full of mood and evocative imagery and foreshadows the challenges and horrors to come. Chapter 4: Castle Ravenloft: A truly massive and imposing fortress of over 100 rooms (counting the crypts). It contains all manner of horrific creatures including a number of important NPCs related to the story. There are plenty of traps, undead, ghosts, a captured werewolf, and of course Strahd himself. Players may revisit the castle multiple times over the course of the campaign. Chapter 5: The Town of Vallaki: Corruption abounds in this oppressed town run by a mayor who forces his citizens to attend regular festivals to convince them that “all is well.” There are plenty of great NPCs here including a legendary vampire hunter and his pet saber toothed tiger, a family of wereravens, and the corrupt mayor who imprisons naysayers, challenging the players to stand against him. Chapter 6: Old Bonegrinder: An abandoned mill inhabited by a coven of hags. Here the characters discover the disturbing truth about the “dream pastries” that are sold throughout Barovia: they are made from abducted children, which they bake into the pastries. This is a spooky place to explore and gives the players an opportunity to fight the coven. Chapter 7: Argynvostholt: An ancient ruined fortress where long ago an old order of knights dedicated to a silver dragon stood against Strahd. After they were massacred, the place became haunted and many of its inhabitants were turned into revenants. The players can either clear out the dungeon and get its treasures, or learn its mysteries and try to redeem the fallen knights with a powerful artifact. Not all the revenants are evil and there are some great roleplaying opportunities here. Chapter 8: The Village of Krezk: The third village is a heavily fortified community. Characters seeking entry will have to prove their good will first, by doing a side quest. Once inside they can explore a corrupted chapel full of monstrous human/animal hybrids created by a fallen angel in disguise. Story elements include the reuniting of two old lovers who were murdered by Strahd, the dark resurrection of the mayor’s child by the fallen angel, and the search for a bridal gown for the monstrosity that the angel is trying to give to Strahd in a misguided attempt to lift his curse. Chapter 9: Tsolenka Pass: This is an ominous bridge next to a mountain that has animated statues to attack the players. 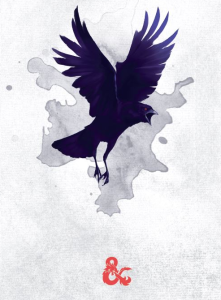 They may also encounter an enormous bird of prey (a roc) and an apparition of Strahd that warns them to not venture further towards the Amber Temple. Chapter 10: The Ruins of Berez: The ruins of an old village with keys to Strahd’s tragic past. A powerful witch has stolen a magic gem that she uses to make her house come alive and walk the hillside as a monstrosity. Hundreds of phantoms pass through these ruins to reenact a battle from long ago. Chapter 11: Van Richten’s Tower: A old stone tower with arcane traps and wards for the players to overcome. Currently inhabited by a legendary vampire hunter and a possible location in which the characters may meet up with his apprentice, gaining a valuable NPC companion. Chapter 12: The Wizard of Wines: A winery run by a family of wereravens has been overrun by evil druids loyal to Strahd. The characters can infiltrate the winery and clear out the twisted blights that the druids have used to corrupt the place. An enormous tree blight may attack here as well, representing a large scale battle with a huge adversary. Allying with the wereravens and gaining favor with many different NPCs across Barovia by freeing up the wine resources is possible. Chapter 13: The Amber Temple: A vast, multilevel dungeon with many arcane traps, secret rooms, and magic treasures. This is also a major historical site, where Strahd first made contact with the evil vestiges that are imprisoned within. The characters themselves can be tempted by the vestiges and granted great power at great cost. Plenty of fun combat encounters and roleplaying opportunities are within. Chapter 14: Yester Hill: The outdoor headquarters of the evil druids who worship Strahd. Characters may fight the druids, blights, and even encounter Strahd here. It is the sight where the characters may witness some cinematic moments such as Strahd gazing through the fog at his native homeland, to which he may never return or the rising of a monstrous tree blight which heads to destroy the winery. Chapter 15: Werewolf Den: A cave of werewolves that the players may infiltrate to free abducted children who are forced to fight to the death. Characters may bring an NPC they freed in Castle Ravenloft to help supplant the current pack leader. There are a couple of interesting NPCs that can be reasoned with here and it presents some unique stealth challenges. The Epilogue: Here the book presents a set of plot resolutions and cinematic moments that the players can experience once their story is over. The ending varies depending on if Strahd is defeated or not. 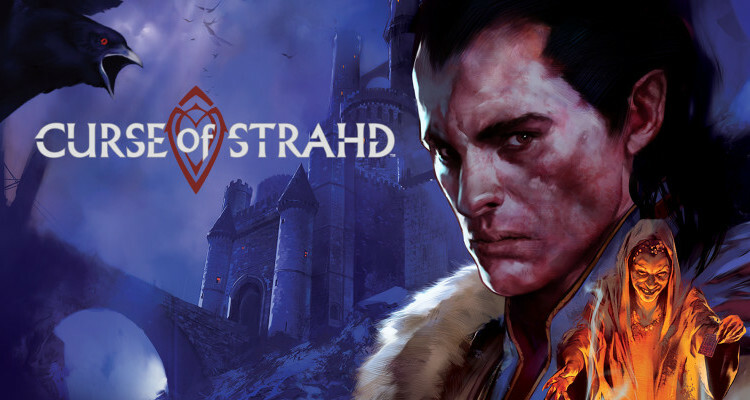 All in all, Curse of Strahd is an excellent gothic horror adventure. You can tell that the writers and designers truly understand what makes horror great: mystery, mood, and narrative. My quibbles with some parts of the game are minor details and shouldn’t stop anyone interested in the genre from enjoying months of awesome game sessions. Curse of Strahd will give your players tons of great horror moments that will stay with them long after you leave the table. You have a group of players interested in narrative and mystery. Your group is interested in having a horror themed D&D campaign. Your group is patient and enjoy roleplaying and exploration as much as combat. A vast, sprawling castle dungeon with over 100 rooms sounds exciting to you. You have an impatient group that wants less talk and more killing. Your players may be uncomfortable with the grotesque and tragic nature of the horror genre. You are a first time DM who may be intimidated by more a serious setting and the open ended nature of the plot. Your group expects a lot of loot and/or magic items.